How often have you thrown away food? The veggies in your fridge you did not know what to do with or the piece of old cheese hidden behind the pickle jar, the milk turned sour? Unfortunately, you are not alone. We live in a world where a lot of food is wasted. Daily. Did you know that China’s college cafeterias waste enough food to sustain almost 10 million people every year? Or were you aware that each and every person in the European Union wasted 300 kg of food per year? 100kg in their personal household and 200kg via trade and production? All the industrialised countries waste half of the wheat harvest and fruit and vegetables. A lot of it, because it is too small, too big or doesn’t fit in the standard supermarket box. 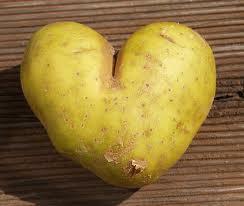 Potatoes that don’t fit the norm are sold for only 10% of the price and turned into animal feed or starch. Maybe we would appreciate it more, if we knew that a kilogram of apples need 1500 liters to grow and one kilogram of beef even 15,000 liters. So stop wasting food and join us! Bring whatever food is left in your home. We’ll cook it up into a nice dinner and have a feast! This entry was posted in Slow Food Nation on %A %B %e%q, %Y by admin. Slow Food was founded 25 years ago in Italy and now has chapters in 153 countries. Recently resurrected in China, Slow Food Beijing is the youngest chapter and the second Slow Food chapter in China after Shanghai. There are also chapters in Hong Kong and Macao. Slow Food Beijing is a local convivium (chapter) of the international Slow Food movement that celebrates, protects and promotes food that is good, clean and fair. Good food is delicious, fresh and seasonal, natural (meaning not overly processed). Slow Food Beijing protects cultural food heritage such as indigenous varieties of plants and animal breeds as well as traditional techniques in food production. manner that respects animals, the environment and is not harmful to our health. Fair food is produced by farmers and artisans who have food sovereignty: they are free to choose how, when, where and what food they produce. They are adequately remunerated and respected for their work. Slow Food encourages and supports accessibility and fair prices for good, clean and fair food. This involves selecting future partners with Slow Food Beijing. Protecting bio-diversity: safeguard local and indigenous dishes made according to traditional methods by introducing them through tastings and other educational workshops. Giving strong preference to foods that are grown and produced sustainably by small farmers and producers who practice traditional skills and methods. Slow Food Beijing offers activities to promote these values with local meals, tastings, lectures and workshops, producer and farm visits, food movie screenings and many more ways. You are welcome to get involved and join our meetings which happen approximately twice a month. We are always open to new ideas. An email with the meeting invite and location will be sent around. 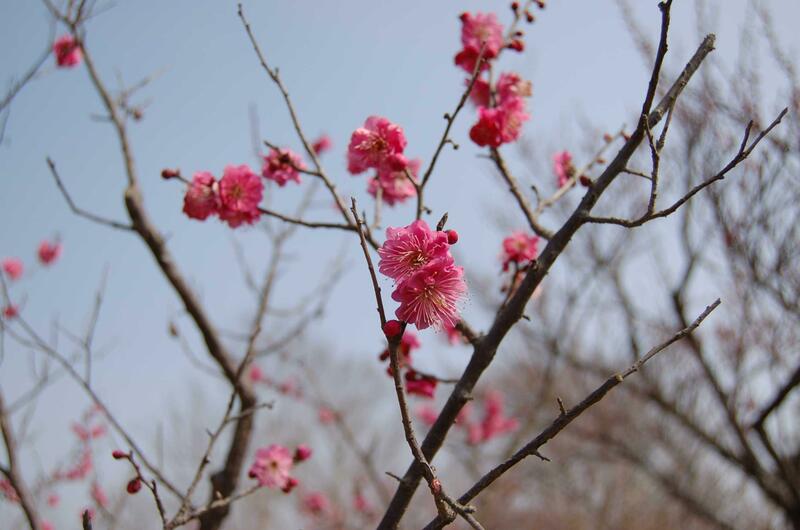 In God’s Grace Garden, a farm one hour south-west of Beijing, 3000 cherry trees wait to be picked. Each year end of May, when the cherries are ripe, many of them are eaten by flocks of birds. Come help Therese Zhang , one of Beijing’s local farmers harvest these cherries while on this beautiful biodynamic farm with fields of plants, fruit trees, and free-roaming farm animals. Therese and her staff will prepare a delicious Chinese buffet lunch using produce from her farm (there will be also be cherry pancakes1). Learn what a biodynamic farm actually is and enjoy a beautiful Sunday in concert with nature. Where: God’s Grace Garden is located one hour by car south-west of Beijing’s city center. When: Sunday, May 26, 2013. 11:00 – 16:00. The bus leaves at 10:00 from the parking lot next to the Kempinski Hotel (subway line 10, Liangmaqiao). Costs: Including transportation and meal RMB250 for Slow Food members; others pay RMB300 which includes a Slow Food membership. If you come with your own car, please deduct 30RMB. Reservation: To make a reservation, please send an email to info@slowfood-beijing.org by May 20th. Tickets are limited to 35 people, so please do not make a reservation until you are really sure you’re going.